Can a non-Atheist have good morals? How we know Jesus is the only way? Muslim became a follower of Jesus? Was he prophesied before arriving? Where were they before they were conceived? He is the Word of God. Prov. 30:4 “Who has ascended into heaven, or descended? Who has gathered the wind in His fists? Muhammad was born. And at a young age was raised by his uncle. God the Father and Mary. Virgin birth. His stepfather was Joseph. Where and how were they born? Northern India, Lumbini, now part of Nepal 624-483BC. Normal conception. 560 BC most commonly communicated. Born in Mecca, 570 AD, Normal conception. Born in Bethlehem, 3BC; prophesied many years before arriving. He is God’s Word, placed into a virgin. Followed Jewish order, circumcision etc. Brahmin seer to make predictions about him. Followed Jewish order, circumcision etc. He was acknowledged by the priest who Jesus is and spoke about the prediction of His life. What training/ education did he have from the world sense? Viennese medical doctor, trained in neurology. During this he studied Theory of Evolution which he believed to be fact. Private tutoring as per Royal protocol, tutoring. Merchant taught by his uncle. He could read and write; however the level of his education was not enough as to be considered educated or literate. Taught carpentry by His stepfather. 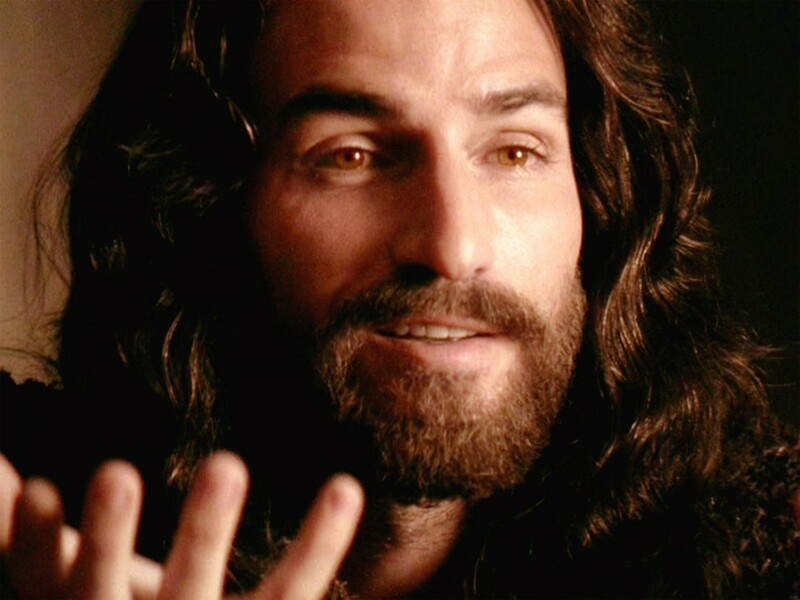 And taught by Holy Spirit, Jesus was an accepted Rabbi who could read and write. Wife and a boy child he abandoned to go on this search. Had 11 wives (even though the Koran says a limit of 4). He married his Son’s former wife, Zaynab. Also wanted to divorce Sauda when she became unattractive. Turning point in their life. Understanding Evolution as an alternative to God and suffering that existed in the world turned Sigmund onto humanism. Outside his palace one day he first came across a decrepit old man, then a diseased man, a corpse and a hermit — these encounters, known as The Four Sights, were the Prince's first awakening to deeper truths about life. Muhammad started preaching these revelations publicly. After the revelations he tried to kill himself because he didn’t want his tribe to say he was possessed by a demon and he wanted rest. Then later on again he tried to kill himself because the revelations stopped. At one point he blamed the devil for a revelation. No turning point as He knew what He would do from birth, he didn’t have a turning point but he did have a time when he was ready to step out. Age when they started teaching? 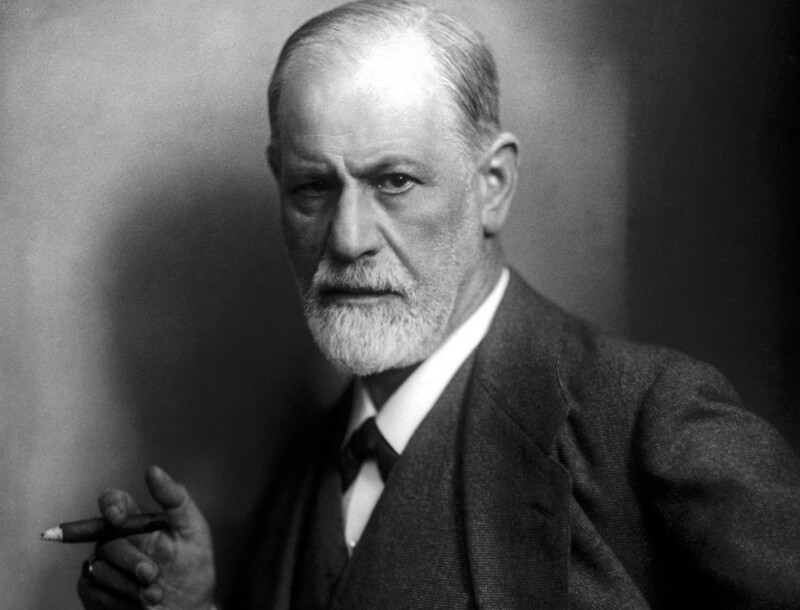 Introduced the world to Psychology. Taught that we mustn’t rely on God but on self, and to avoid suffering it is in self, linked to a craving. Taught that there is one God as at that time many served many gods. He also taught that he was the last prophet. He also dictated much of the Qur’an which people needed to follow. Reconciled people back to God only through Him. Science community and Evolutionists. None. Miracles contradict everything we have learned through empirical observation; they do not really occur. Royalty and the people he taught? No miracles performed by him. Unlike most of the prophets, there were no miracles by him but miracles to him. Like the writing of the Quran and seeing Gabriel. When he was asked why no miracles backed him up, he answered: "Allah has not sent me to work wonders; He has sent me to preach to you." Yes many supernatural signs and all these supernatural signs were for the good of people – no curses only blessings, healings, raised 2 from the dead, blind could see, deaf and mute spoke, etc. Apart from the Bible, both the historian, Josephus, and Jewish writings wrote about Him. become a common treatment for depression -- and perhaps even for other ailments, including indigestion. He himself became an enthusiastic user of cocaine, handing it out to colleagues and relations (including his sisters) and praising its merits in various scholarly papers. Buddha criticized only those portions of the Vedas which prescribe animal sacrifice and that he did out of compassion for the animals. Yet how can he criticize when he said worship a deity in the way you obtain results. Saying there is no wrong and then criticizing someone for something based on what he believed is wrong, is a contradiction. 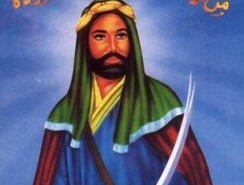 After each major battle with the Medinans, Muhammad accused one of the Jewish tribes of treachery (see Surah 2:100) and attacked it. After Badr, Muhammad besieged the Banu Qaynuga and forced their surrender. He wanted to put all the men to death, but was convinced not to do so by Abdullah who was an old ally of the Qaynuqa. Instead, he expelled them from Medina with their families and possessions. After Uhud, the battle of the Trench in 627, the Muslims accused the Jews of conspiring with the Meccans, then beheaded the adult male members of the Banu Qurayza. The females and children were sold as slaves. Muslim vol. 2 #3309; Abu Dawud vol. 2 #2116; Tabari vol. 9 page 131). Whipped those in the temple who made the temple of God a market place and prevented people from worshipping and praying. What is truth? What do we use to govern right from wrong? Truth is relative to the situation and it changes accordingly. Quest to find the truth and believed he would discover it as he lived it. Truth is the word of God including the Torah, Psalms, Gospel as long as it doesn’t contradict Muhammad’s text of the Quran. If it does then the Quran is the authority e.g. Jesus was not put on the cross in the Quran. Jesus the Christ claimed to be the Truth. Did they believe they were sinless? Were they sinless? No such thing as sinless. Yes, he believed that he was perfect, yet he needed to be rebirthed to be more perfect. Yes He knew He was perfect and thus went to the cross as a lamb sacrifice for other’s sins (Is. 53, Ps. 22). How old when he died? 83, in 1939 London. After suffering from cancer of the jaw and throat. Although he had battled the disease for sixteen years he never gave up the huge cigars with which he became so identified. He was 83 years old when he asked his doctor to end his life – he committed suicide. 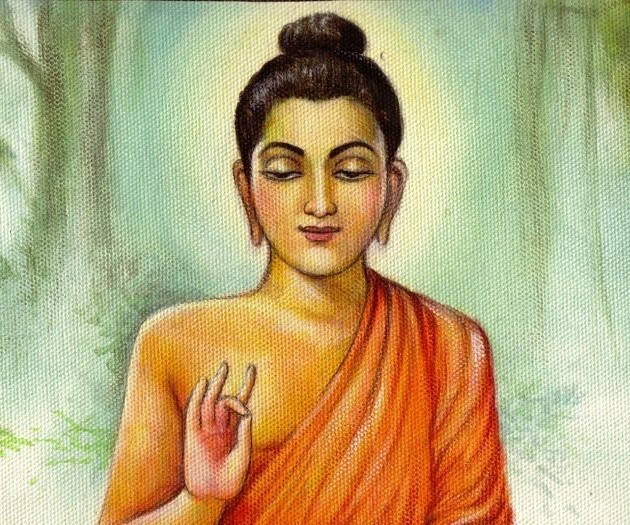 Buddha ate his last meal, which, according to different translations, was either a mushroom delicacy or soft pork, which he had received as an offering from a blacksmith named Cunda. Falling violently ill, he died. reincarnation is offered as the process for a person with all the qualities needed to get to the state of Nirvana). Nirvana is a state which all six bases (Eye, Ear, Nose, Tongue, Body and Mind) no longer feel. 632 AD, 63 years old. Darami (# 67), Darqutni (# 130), and Imam Ahmad’s collection (# 2785 and 3547)). He was condemned by the Jewish people primarily because he was leading people to Him. They handed Him over to the Romans who executed him based on being “King” and there is only one King i.e. Caesar. He was crucified on a Cross thus fulfilling the prophecy concerning Him. Did he conquer the biggest obstacle - physical death? i.e. is he still in a physical body? No, his bones are in India. Body buried at Medina (Medinah) in Saudi Arabia. Yes, raised Himself from death after 3 days and then spoke and appeared to people over 40 days – he also spoke with over 500 people. His Destination after Physical Death? Unknown, Body was cremated, the remains are in London. He believed there was nothing that we just cease. Believed he went to Parinirvana, a place that cannot be explained, as it is outside of all conceivable experience. Parinirvana is a state of impersonal nothingness. Heaven, in a physical body. He will return to earth to reign after the 1,000 years of Christ. How do we know his after life? Based on their Words are they around today? He said so – there is nothing. He said he would go to this place, also said destination is unknown. People have also seen him in Barzakh in their dreams. But no one knows nor is it referenced in the Qu’ran. Besides the 500+ eyewitnesses, his disciples and followers witnessed his resurrection. These are the same people who turned to run from Jesus when He was persecuted, but when they saw Jesus was resurrected and ascended into heaven, they willingly gave their lives to teach about Jesus as Messiah the only way to God – even to the point of death. Anything he left them when he died? His Person and Teachings. Theologically His Blood (to bring them into a position to be able to call on God as Father) and his Body (to sustain them, give them a sense of meaning as they tell others about Him) and Holy Spirit (to teach them, comfort them and help them). Unknown – no need to answer such questions. "We do not believe that this world is created and ruled by a God." It just is – don’t waste time thinking about it. Allah. The Creator (the One who needs none and whom all are in need of). Yahweh - Elohim (Father, His Word and His Spirit). Self as a god. Actually crusaded against God whom he considered an obstacle to human intelligence and maturity. There is no God or personal God, but a system of fitting in which we are all part of. We are God collectively. Once we think there is no God then we can be free of God. God is a craving to be extinguished. promised heaven and eternal life for his followers. But not completely true. Allah is said to be merciful and compassionate). Word) and Holy Spirit is His Spirit. They are all unified as One. Is the God of Israel the only way that the true God revealed Himself? No scientific evidence (as he saw it). And especially if the hardship was suffering – how can an all powerful God, a loving God, cause suffering? Surely He would cause it to stop? So therefore there is no God. He didn’t know the God of Israel. But the Dali Lama and the leaders say, “If God created the world, where did God come from?" the answer would be, "of course God was created as well". No, God has sent prophets to all of mankind from the first prophet Adam to prophet Muhammad. Israel is not the chosen people and God didn’t reveal salvation through Israel. Nature, through Israel, through His law and prophets. All pointing to the need to surrender to the Messiah, Jesus. Getting what they want and being positive results in happiness on earth for self. Happiness itself is also a craving that needs to be extinguished. Better position for next rebirth to get to state of eternal nothingness. Obeying God (not loving God) results in happiness for eternity. Happiness is not necessary on earth. Reconciled to God, to have an intimate relationship with Him. This results in true happiness for eternity, including earth. The good news. Work to get it from efforts of positive thinking. Think about something that makes you feel good. Get what you want. Work to extinguish self desires, get rid of suffering. This provides enlightenment (or is that a craving). We get it by having a mind free from craving, anger and other afflictive states. Surrender to Allah and the teachings of Muhammad. Surrender to Jesus Christ, which allows His peace to enter the person. A peace of being reconciled back to God. He dwells inside and the blood of Jesus washes away their sin as they walk with Him. As they walk with Him they tell others of this good news. comes from human experience, like our traffic laws. We make them up because they benefit us. If they didn’t benefit us then don’t make them. They vary based on culture. Truth is relative – There is no right or wrong. Relative truth, relative to the suffering. One persons suffering varies from another. And one person’s happiness varies so there isn’t absolute truth. Absolutely no wrong or right. Truth is absolute that was ONLY revealed to Muhammad, or who Muhammad has indicated to be true. And today the people are to follow the Islamic Law (Shariah). Know that God loves you. 2) You Love the God of Israel with all your heart, soul, mind and strength and 3) love others like you love yourself. Not possible to do the 3rd without the 1st two. Evolution, genes and our mind. Cravings and previous life actions. From their sins or a test from God. Sin in the world from Adam (in genes), Our Sin, Sin from others. What is sin or Craving? No such thing as sin because we are in fact our own god, it is a choice to be happy or not. No such thing as sin because we are in fact our own god, part of everything. A craving is something imposed by self that causes suffering. Qu’ran (above all other books). Allah is higher than us – He created moral laws. His authority is to be honoured and obeyed. Sin is opposing God’s law found in the Bible. Root is rebelling against God of Israel. Getting rid of sin? Or getting rid of craving? n/a – the choice to be happy and find something to be happy about, and take something to remove the suffering. We need to abstain from them by our own efforts through the 4 nobles. 1) Identify the suffering 2) Abandon the cause of suffering – cause of the craving 3) Stop the craving 4) Develop the path leading to stopping the suffering called the noble 8-fold path. (right view; right resolve - "panna"); (right speech; right action; right livelihood; the beginning of the training "sila" virtue); (right effort; right mindfulness; right concentration). At every step of the way a person practices generosity "dana" as it fosters a development of a compassionate heart and counters the hearts habitual tendency for craving. Sincere repentance which includes remorse, giving up the wrong action and determination not to return to the sin. Maybe Allah forgives you. It is up to Him to decide. We can’t get rid of it as we are sinners. However only when we repent (turn away from our self) and accept His Sacrifice for sin – His Son and grateful for what He Son (Jesus) did for us then we will be forgiven. It is Jesus’ blood that washes away our sins. God no longer keeps a record. What is a good place after Death? What is a bad place? but a Good place in the reincarnation chain is unknown. Bad place - Come back to be punished somehow, blind or worms – but unknown. General thoughts on what he believes about how we are to live life? Self capability/ the mind / positive thinking, upbringing plays a key role. One", that complete "surrender" to Him is the only acceptable religion. And he was in the prophet of God same as Adam, Abraham and Jesus. The Torah, the Prophets and the Writings are God’s Word to mankind. Those that want to be governed by self, like Adam, God will not want them. The only way to be governed by Him is surrendered their life to His Son Jesus Christ and follow His teaching. He is the true King of the earth (Is. 9:5-8). What are the people who follow their teachings called? Jesus’ teachings pointed to Himself as the door to an intimate relationship with God. Those who follow His teachings are called Christians. What will happen to those who follow them? On earth they will be free to exercise human intelligence. On earth they will receive Nirvana if they avoid suffering. Then afterlife of nothingness/Pirvana or come back – reincarnated. They will die and be resurrected for Judgment based on their works. Some say based on teachings that all will burn to clean themselves for judgment (i.e. Bible calls this place Hades). They will have intimacy with God as Father and live a peaceful life, that isn’t based on a situation but based on who He is in them. They will not go into the final judgment but pass from judgment to life and will be judged before Christ’s throne. Are their teachings inclusive or exclusive to all? Exclusive, It is inclusive as long as you are not part of a Religion. Exclusive. It is inclusive as long as you don’t say there is one way, absolute truth. Inclusive except with religions who say it is the only way. Exclusive "If anyone desires a religion other than Islam (Submission to Allah), Never will it be accepted of him; and in the Hereafter he will be in the ranks of those who have lost (their selves in the hell fire). "(Qur'an 3:85). That is, if anyone who hears of Islam and rejects it they will abide in Hell forever. As for those who believe they will abide in Paradise for eternity. Those who live and don't hear of Islam and children that passed away regardless of their parents belief will go to Paradise. How does a person follow him? Believe evolution and that everything is physical only. leading to the cessation of suffering. This indeed is the safe refuge, this is the refuge supreme. Having gone to such a refuge, one is released from all suffering. 5) Belief in life after death. “Owner”. Which means if He is their Owner they will do what He said to do. Be Holy 7) Share the good news that God has sent His Son to reconcile man to Himself. All they need to do is take Him at His Word.